The river is flowing great. Fishing has been very good the last couple weeks. This is due to the recent fish plants by Alpine County. I talked to Geary and Deanna Ness from Minden NV. They fished last weekend and caught eight nice trout between them with the biggest at 2.5 pounds. They were using a small split shot with Powerbait. 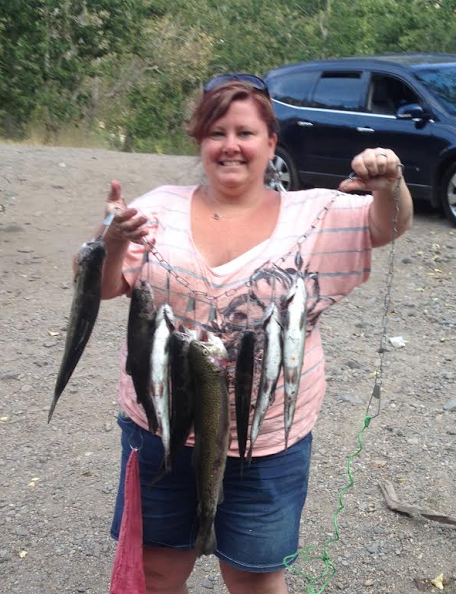 Renee and I fished the river a couple weeks ago. We kept 3 fish and released 12 others. Largest fish was 25 inches long and was caught on a small Panther Martin spinners. Many other anglers have checked in with many limits of nice rainbow trout. For more information stop by The Creekside Lodge.